New Look – Nice dress! Thanks, I made it!! Where has the week gone! We had a holiday on Monday (“Family Day”), which I spent watching movies and sewing … then it was back to work and not knowing what day it was – pure chaos! But I have finished 1/2 of my Day and Night Dress Challenge – the “Day” part – it’s time for “Coffee”! 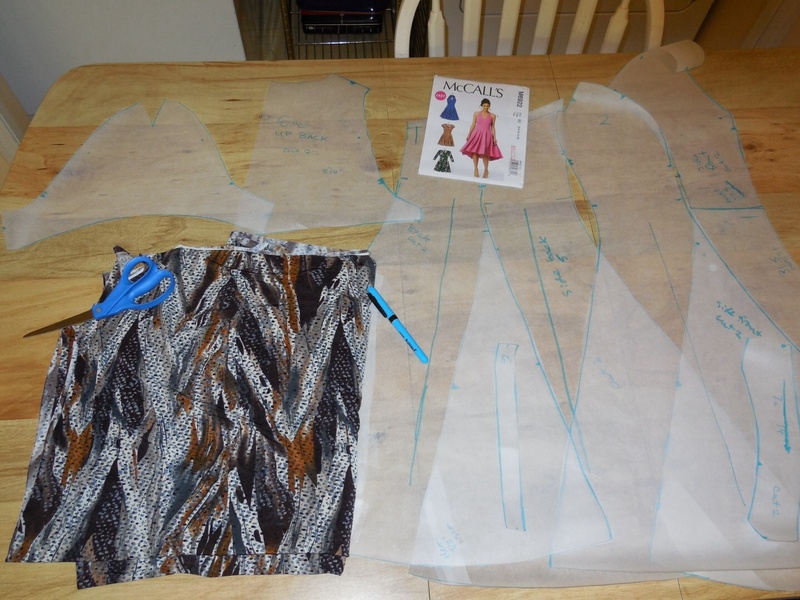 If you would like to learn more about the Day and Night Dress Challenge, head over to Elizabeth Made this … right here! So to refresh you on last week’s post, the “Day” part of my Challenge is made with New Look 6803 in this 100% rayon fabric. No mistletoe, just a Christmas tree. My sister suggested I use mistletoe as a prop in my next blog photo session. Sorry sis, I have no mistletoe, but I do have a Christmas tree and my finished DESIGNIN’ DECEMBER Copy! I decided in the beginning of the year that I wanted to copy this Designer Original top. and this Designer Original skirt. … but I had a chance to sew too! I was cutting out my DESIGNIN’ DECEMBER outfit, when I realized that I did not have any lining in my fabric stash at all! Oh poor me, this meant a trip to the fabric shop on Black Friday weekend! I found this lovely lining. I wish I had written down the fabric content. If I don’t, it’s impossible for me to remember afterwards. The most I can remember is that it was mostly “Bamberg something” with a bit of polyester. That’s all I can remember. But it’s going to look and feel lovely inside my DESIGNIN’ DECEMBER skirt. I can’t turn down a good Challenge! I have slowly realized that I am not one to make New Year’s Resolutions … in life or in my sewing. Instead, I just blather away about all the things I want to try this year … sometimes it happens and sometimes it doesn’t … sometimes I plan one thing and it ends up being another! I am finding though, being exposed to so many new things on these wonderful sewing blogs, that there are many, many “Challenges” out there and I am having a difficult time saying “No”. Give me a Challenge and I will sign on! So that is how I find myself signed up for FOUR Challenges in 2015 – this is going to be so fun! 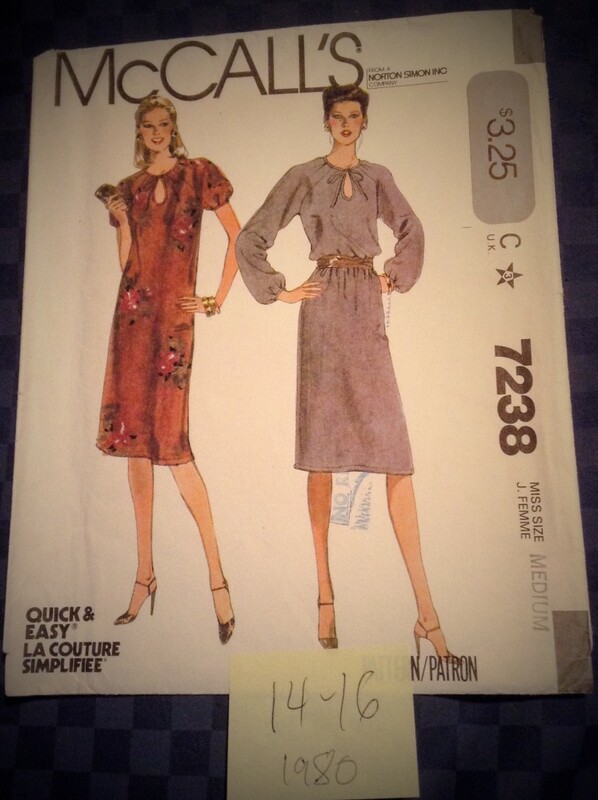 There’s the RTW Fast 2015 and Jungle January and the 2015 Vintage Sewing Pattern Pledge! and the Make A Garment A Month Challenge! I think I can do it all… really! Seriously! I already roared through the Jungle January Challenge. Yippee! Now I have to conquer the RTW Fast, the MAGAM Challenge (that one might be difficult!) 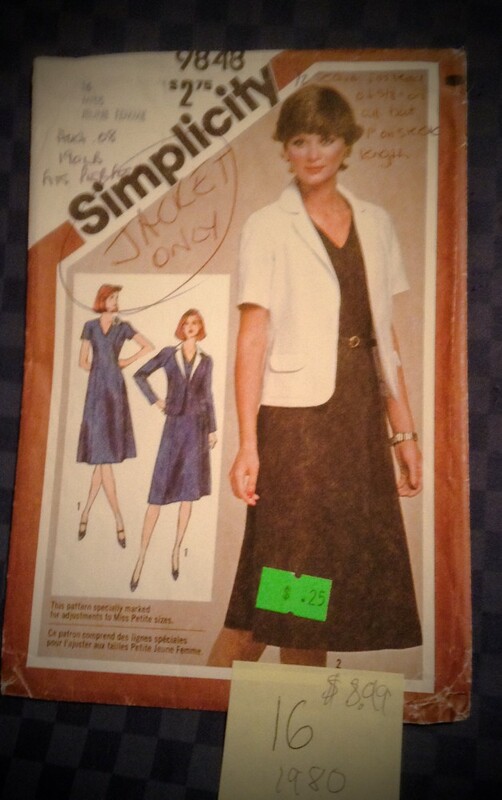 and the Vintage Sewing Pattern Pledge. 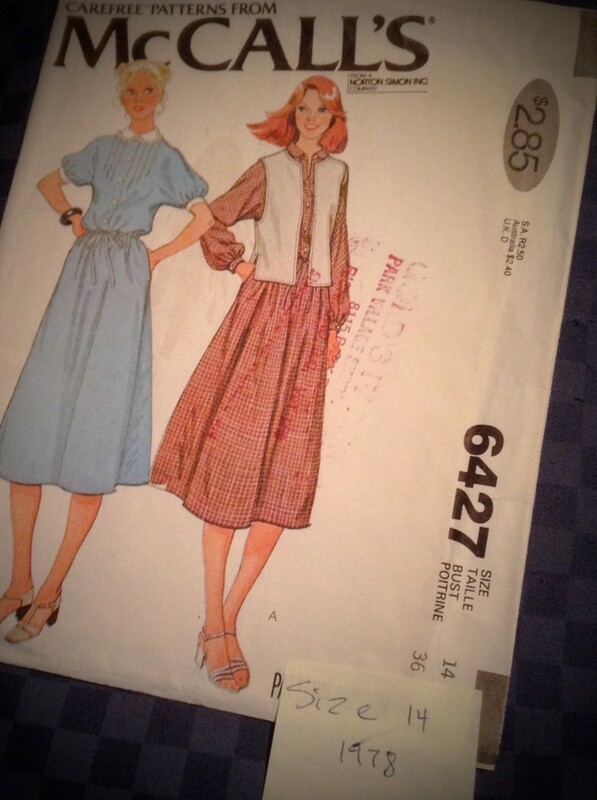 I have a few vintage sewing patterns, given to me by my sister, that I could sew up. (Thank you, Rose!) I would like a vintage dress. I would like a few actually. I am unsure though how much time I have this year for sewing up vintage dresses. 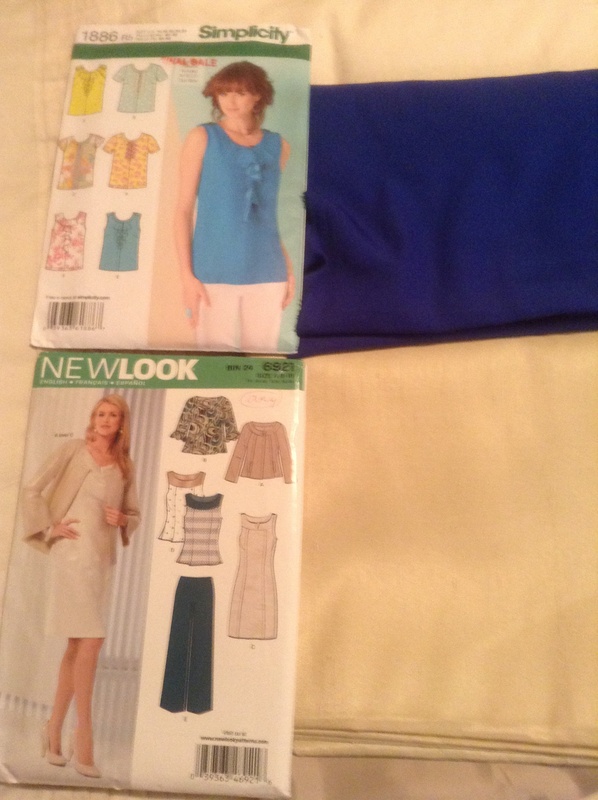 So give me a hand here … which dress should I sew up first? Let me know and I will start hunting through my fabric stash! 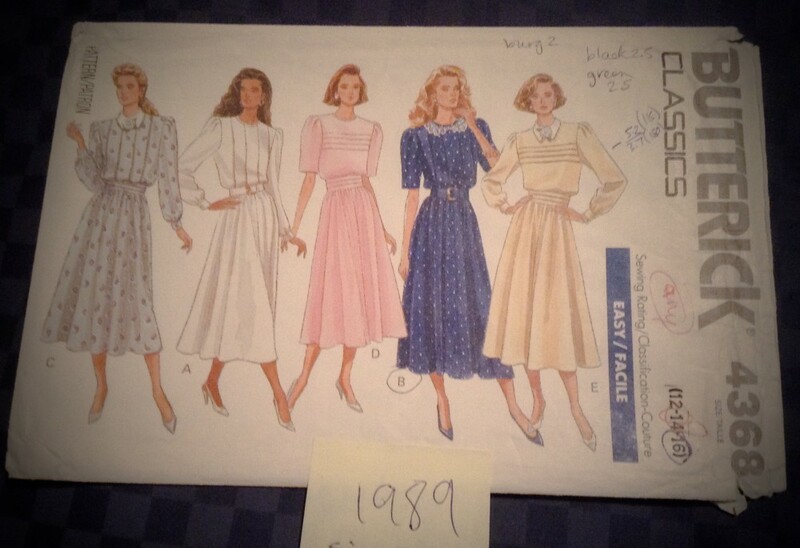 1989 – lots of bodice variations. I’d probably make short sleeves or a 3/4’s length sleeve. 1978 – a little plain for me. Would have to be short sleeves or a 3/4’s length sleeve too. 1980 – looks plain but a nice fabric would really show it off! 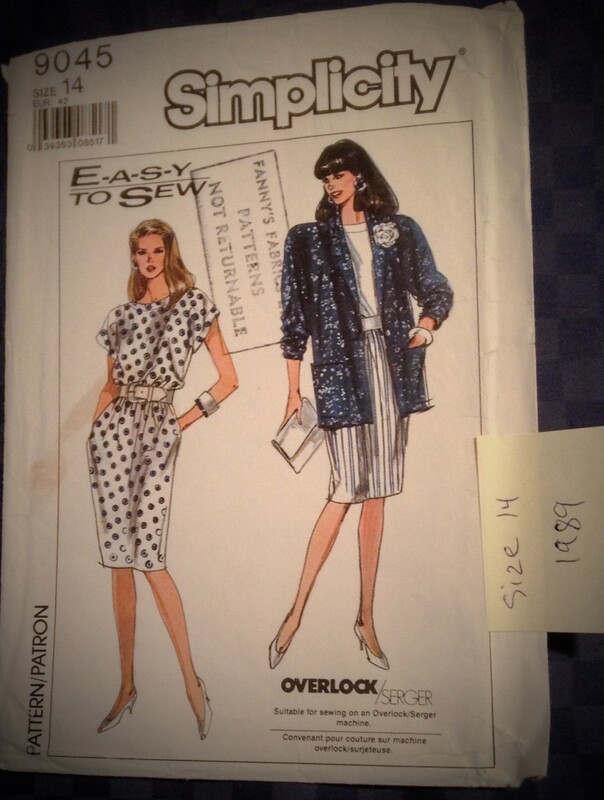 1989 – I would have to leave out the shoulder pads – sorry! 1980 – again, no should pads please! This one was given to me by “Sew Much 2 Learn”. Thank you again! I think this one needs gloves and a hat! What do you think … can I pull off all these Challenges? and which vintage dress should I do first? Love to hear from you! Sew the right sides together! Let me show you my “May Monthly Stitch” knit top. I broke the rules with this one. Shame. 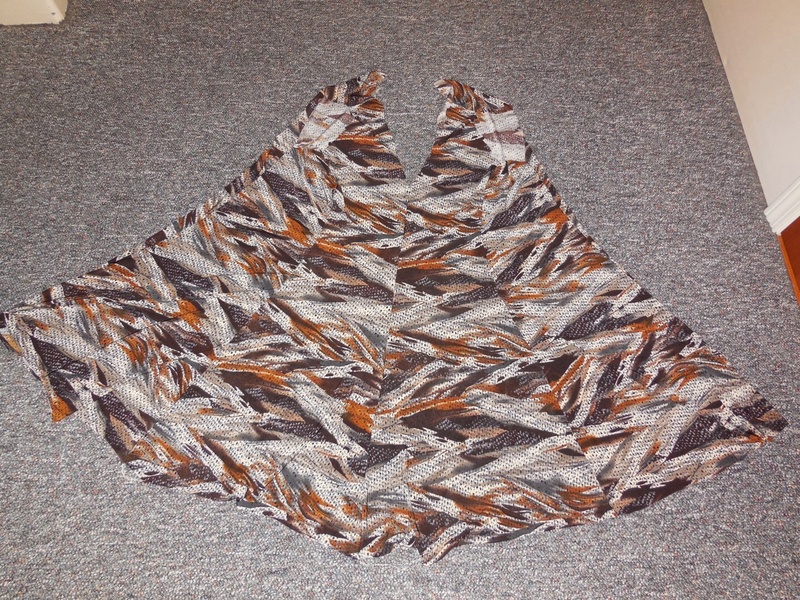 I used Simplicity 2892, 6 made easy tops, view D. I have used it before, last time I made view A (twice). I really like this pattern. Oh, what rule did I break? The pattern does NOT say for “KNITS”! I think the fashion police are headed my way, but then again, when do I ever follow instructions to the letter? I love this fabric, so soft and light and silky (ITY knit – polyester/Lycra). 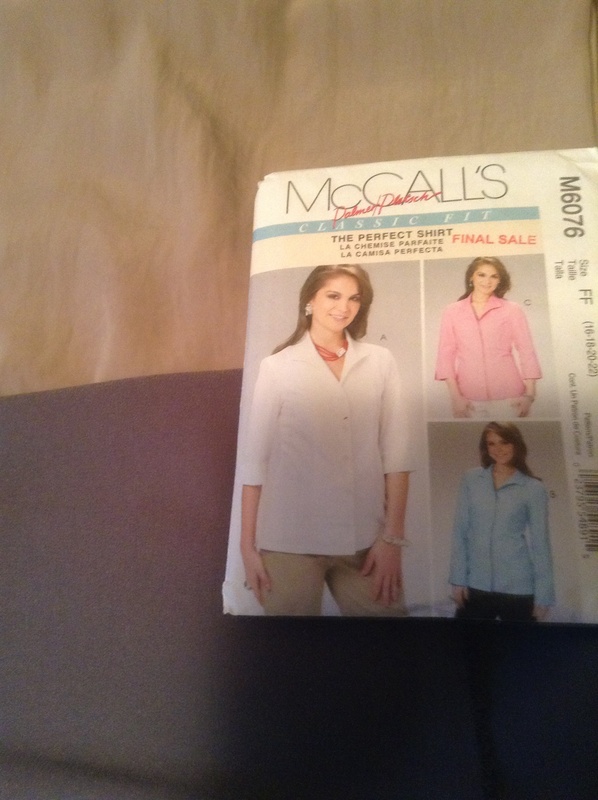 I thought I should make this lovely summer dress – McCall’s M6922. I traced the pieces for the short sleeve version of the dress and cut out my fabric. I very easily sewed together the eight panels with a narrow zig zag stitch. This dress had fantastic flare! But it seemed kind of “hang-y”. I tried it on. It was not only hang-y, the bodice and armholes stretched so much as I was wearing it I could have put my head through the armhole! I took another look at my notes on this fabric. It was polyester/Lycra WITH 50% STRETCH! I just couldn’t do it. I am now able to get back to my own sewing. So now I return to my pea coat. That’s it! That’s all I’ve done. Although I do love that back seam, so neat and tidy and flat! Dolly wears it well! 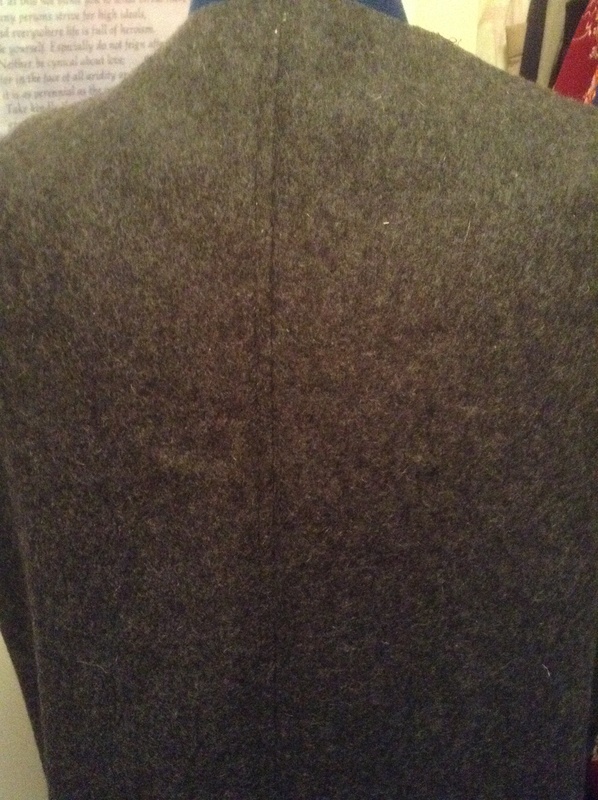 I did make a PLAN though, for when I am finished my pea coat. After a couple of trips to the fabric shop to pick up a spool of thread, or whatever, and walking out with bags of goods, well, I did make a PLAN for my wardrobe for next year! 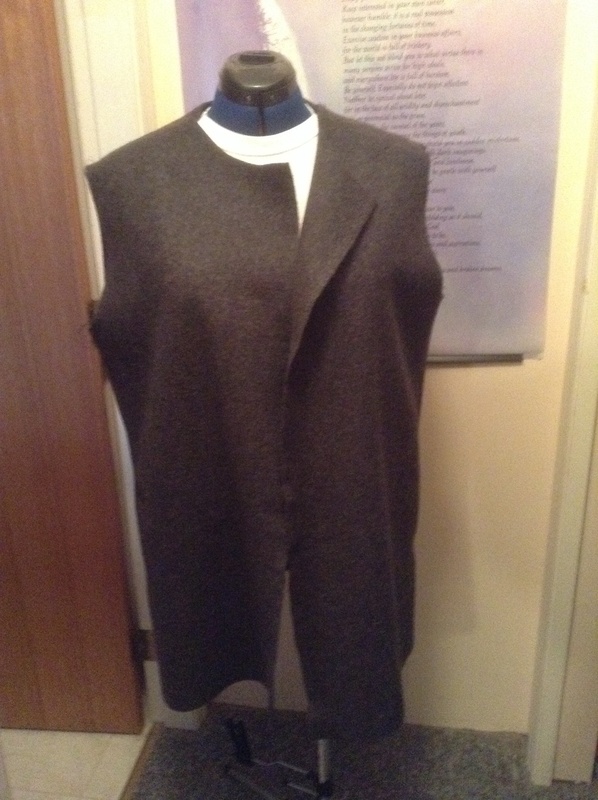 Now it is very difficult to see from this photo, but I am going to make item C, the short blouse, McCalls M6606, putting 3/4 length sleeves on it though. I love the pattern on this black and white fabric! I haven’t decided yet whether or not to put on a solid black collar too. I think I might! I love that the blouse is not fitted, it is quite loose and billowy around the waistline. A great idea after Christmas Baked Goods and turkey dinners! Next these two shirts (I am obviously lacking in shirts). 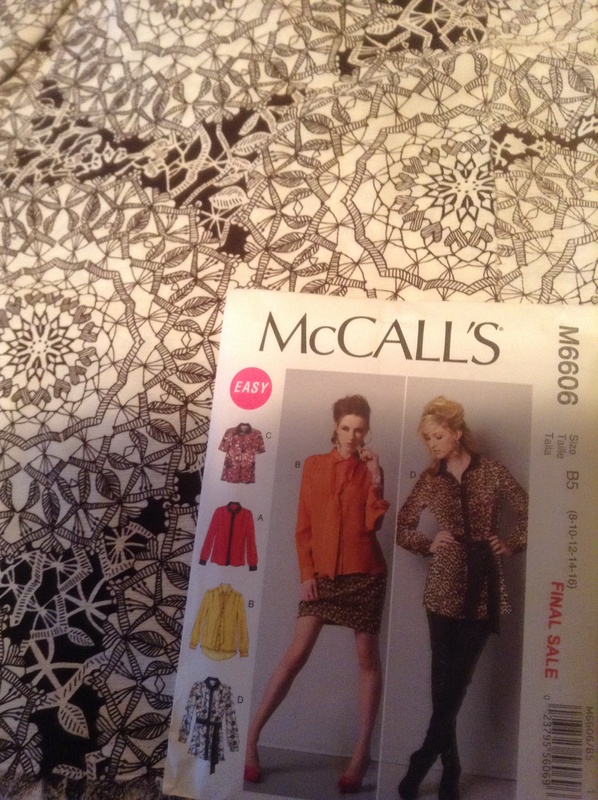 McCalls M6076, one in grey and one in beige. The beige feels like silk, such a find! Slightly fitted, but not too fitted! Another great job for Dolly! Gosh what a terrible photo! 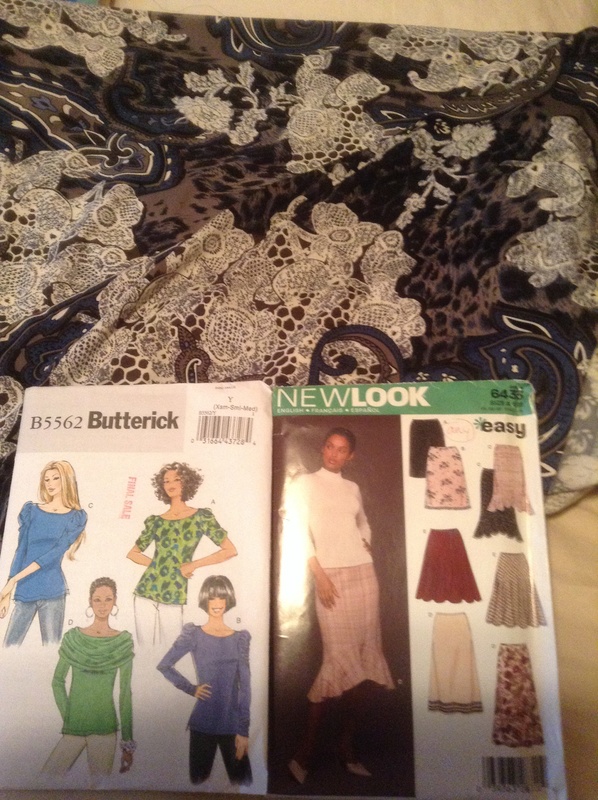 I do like the 3/4 sleeves on the top, Butterick B5562, but I am still unsure which collar style to make, along with a ruffled bottom skirt, New Look 6433. This material has a lovely white, beige, shades of blue and black throughout it. 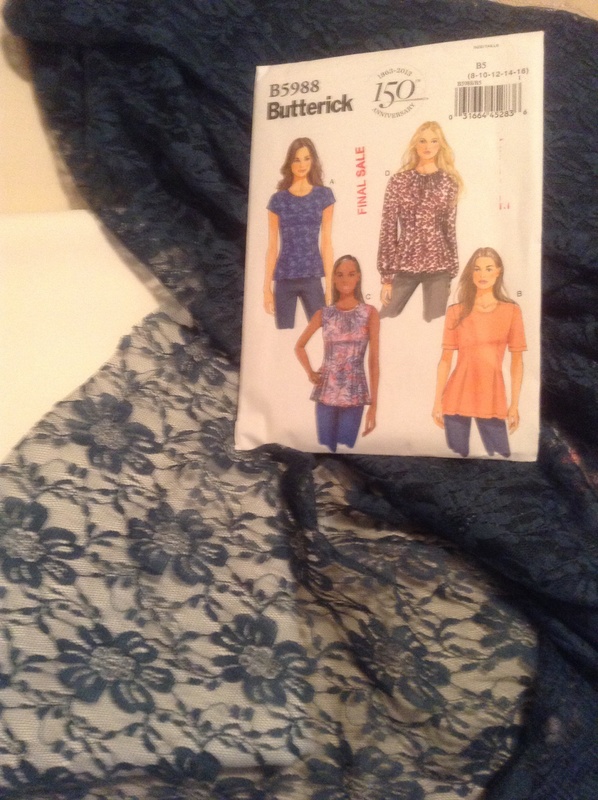 Next this royal blue material is so silky, it would look great using Simplicity 1886, and the jacket material is a crisp silky linen look, New Look 6921, both would look great with the blue patterned skirt above. So that is my PLAN. My new spring outfits. The green lace top doesn’t really fit in with the rest but I just HAD to have it! Such beautiful fabrics and patterns. Hopefully I will get it all finished before something else catches my eye and I change my mind, which has happened many times before! But so far that is the PLAN for the New Year. Therefore, I present to you My Ambitious Rainbow of fabrics and patterns! More importantly, I wish you a Merry Christmas, Happy Holidays, and a Happy New Year!